Forget the Easter eggs, bring on Spring JELL-O JIGGLERS! Get your jiggle on with these cute Spring JELL-O JIGGLERS shaped like eggs, bunnies and chicks. 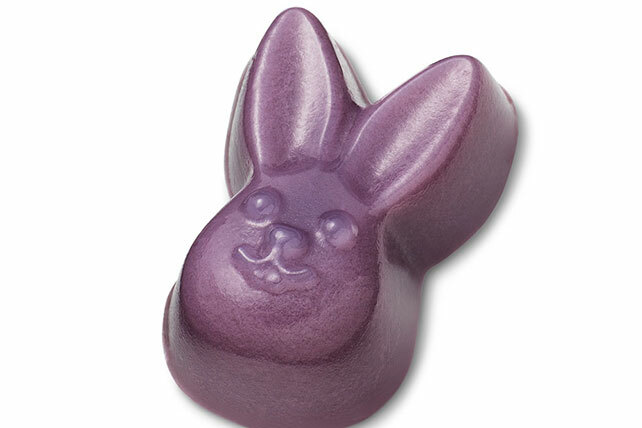 Spray inside of Easter JELL-O JIGGLERS Mold with cooking spray. Place, fill side up, on tray. Add boiling water to gelatin mix; stir 3 min. until completely dissolved. Stir in milk; pour into prepared mold. Refrigerate 3 hours or until firm. Dip bottom of mold in warm water 15 sec. ; invert onto plate. Shake mold gently to remove JIGGLERS. Substitute your favorite fruit juice for the boiling water. Bring just to boil before stirring into gelatin mix. Prepare using 2 pkg. (3 oz. each) of your favorite flavor of JELL-O Gelatin.